Turn up the heat with this value-priced set of four-alarm festivities! Freddy the Fireman sticker paper doll. 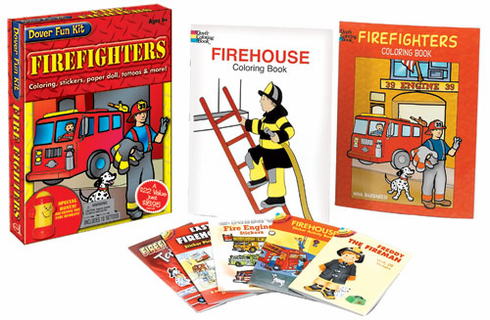 2 complete coloring books. 51 full-color stickers. 10 red-hot tattoos. 6 precut stencils. Squirting toy fire hydrant. Crayons.